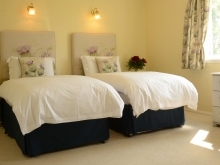 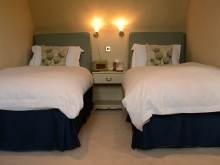 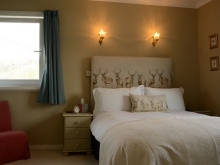 All our twin rooms are unique, all en suite with cotton linen, large fluffy towels, bathrobes, toiletries, Roberts revival radios, Nespresso coffee Machine, tea making facilities, hair dryers and luggage stands. 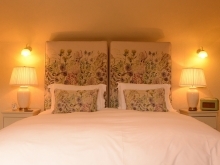 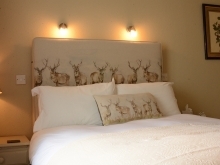 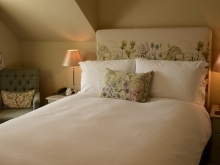 A stay for 2 people includes, four course dinner each evening in the Dining Room , Bed and Breakfast. 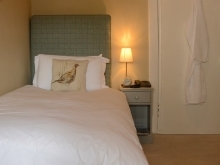 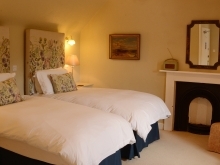 All our double rooms are unique, all en suite with cotton linen, large fluffy towels, bathrobes, toiletries, Roberts revival radios, tea & coffee making facilities, hair dryers and luggage stands. 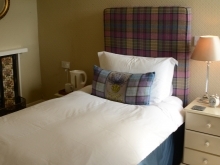 All our single rooms are unique, all en suite with cotton linen, large fluffy towels, bathrobes, toiletries, Roberts revival radios, tea & coffee making facilities, hair dryers and luggage stands. 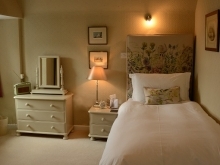 A stay for 1 people includes, four course dinner each evening in the Dining Room , Bed and Breakfast. 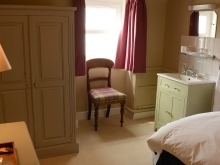 Single room with it's own private bathroom and toilet across the corridor. 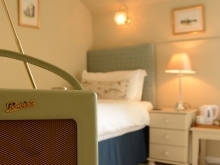 Single bed with cotton linen, large fluffy towels, bathrobe, toiletries, Roberts revival radio, tea & coffee making facilities, hair dryer and luggage stand. 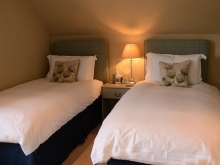 Twin rooms with en suite bathrooms, cotton linen, large fluffy towels, bathrobes, toiletries, Roberts revival radios, Nespresso machines, tea making facilities, hair dryers and luggage stands. 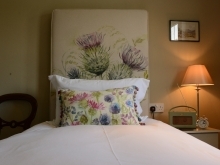 Separate to the Hotel and with views towards Scourie Bay the Garden Rooms also benefit from outdoor seating areas. 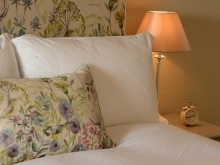 A stay in one of our garden rooms for 2 people includes, four course dinner each evening in the Dining Room , Bed and Breakfast. 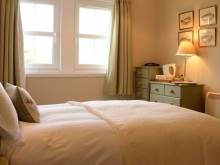 Double rooms with en suite bathrooms, cotton linen, large fluffy towels, bathrobes, toiletries, Roberts revival radios, Nespresso machines, tea making facilities, hair dryers and luggage stands. 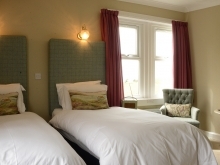 Separate to the Hotel and with views towards Scourie Bay the Garden Rooms also benefit from outdoor seating areas.